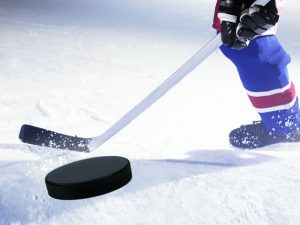 An Ice Hockey match can be the epitome of action and adrenaline; padded uniforms, metal helmets, and long sticks while two teams are competing to see who skates the best, defends the best and scores the most. Sometimes, players get hot-blooded and start fights or just do not follow the rules. While the able-bodied linemen will stop the fights and their armored uniforms will reduce or even absorb damage, the penalties should be a good repelling tool. Here is a list of minor penalties and violations that you may encounter when you are watching a game of Ice Hockey. A minor penalty is the lightest penalty that can be given. When a player incurs a minor penalty, they are sent to the penalty box (or as fans would call it, the sin bin) for two minutes, putting his or her team at a disadvantage in the number of players playing in the match. It may even be cut shorter if the other team who has complete members scored a goal. Obstructs the opponent in an unprofessional manner. For example, if a player makes another player trip using their knees or stick, hook them with the stick or just holds them, then they go off to the box for two minutes. If they interfere a player who does not have the puck, they can be given a minor penalty as well. Inflicts dangerous fouls, whether by use of the stick or roughing up the other players. This includes hitting the opponent on the head, hitting with the knee or the elbow, or slashing or thrusting with the stick. Also, the goalkeeper can be given a penalty if he leaves the crease. An additional thing to note: The goalkeeper, unless in rare situations, should be the same throughout the match. if he incurs a penalty, one of the players on his team will be sent to the penalty box.